Actor Abe Vigoda, known for his work in The Godfather and television series Barney Miller, has died. He was 94. The veteran actor's great nephew revealed that Vigoda was on hospice care since he had stopped taking medication. He died peacefully in his sleep at his daughter's residence in Woodland Park, New Jersey on 26 January. 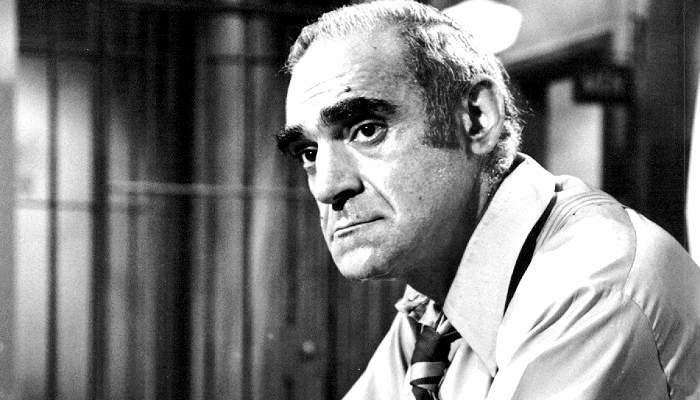 Vigoda had earned Emmy Award nominations for three consecutive years - for his portrayal of the world-weary Detective Phil Fish on the 1970s ABC sitcom Barney Miller. "It was great working with Abe in The Godfather and wonderful to have him among us. We had some great memories together, and he will really be missed." Popular talk show presenter, comedian and writer Conan O'Brien also paid him a tribute on his late night talk show. Vigoda had featured in Late Night With Conan O'Brien couple of times and had garnered a great audience for himself. He also appeared in films like The Don Is Dead (1973), Prancer (1989), Joe Versus the Volcano (1990), Sugar Hill (1993), Jury Duty (1995) and Crime Spree (2003). In bizarre incidents surrounding his life, Vigoda had been declared dead by many known media houses even before he actually died. This include People magazine referring him as dead in 1982, Channel 9 (New Jersey) addressing him as 'the late Abe Vigoda' in 1987 and the like. Abe Vidoga is survived by his daughter, three grandchildren, and a great-grandson.